www.tpexpress.co.uk/where-next/where-next-project/ from now until 9th June. The Where Next Project is a four month mentorship scheme culminating in a showcase event on the TransPennine Express network in September. 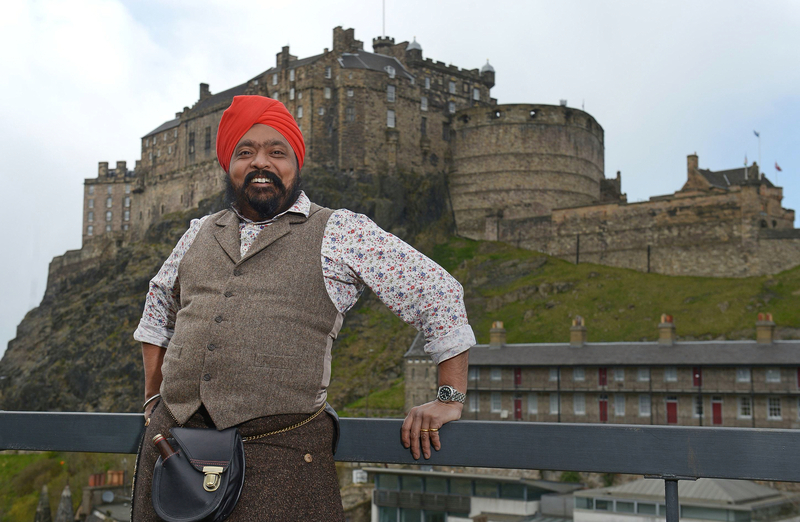 As a chef director for a number of award-winning restaurants in Scotland (including Tony’s Table, Roti and more recently Oloroso), Tony Singh is inviting culinary connoisseurs to partake in the TransPennine Express (TPE) Where Next Project – a four-month mentorship scheme in which Tony will be pivotal in nurturing the current crop of talent. Tony was selected as a Where Next Project mentor by TPE due to his intrinsic pride in his Scottish roots, his contemporary spin on Scottish cooking using local ingredients with a spicy Indian/Asian twist (such as his signature dish, haggis pakora), and his commitment to furthering the North and Scotland. Tony will select the ‘Future Stars’ based on their talent and ability to help contribute to the cultural vibrancy and economic growth of the region TPE serves. What does a Future Star get? 3x face to face meetings with their mentor. Constant dialogue via phone and email throughout the mentorship. The chance to work with the mentor on a showcase event on a TPE platform in September. Tony has launched the Where Next Project alongside two additional North and Scotland success stories, Lancashire-raised BBC 6Music breakfast show host, Shaun Keaveny, and Leeds-born neon artist, Julia Bickerstaff. After drawing up a shortlist of twelve, the three Where Next Project mentors will then help choose the six final Future Stars who will complete the mentorship scheme, and launch their showcase event in September. One of the key components of the application process will be where potential Future Stars can post a link to any previous work – be it an online portfolio, signature recipe or weekly podcast. The scheme will culminate in a showcase event in September, where the fruits of each Future Star’s Where Next Project mentorship will be showcased on one of the TPE route on either a platform or one of the iconic locations on the TPE route. The mentor and their respective Future Star will combine to ensure all comes to a spectacular close in the form of food markets and pop up restaurants, live platform-side broadcasts and even al-fresco exhibitions - all of which will provide a platform for the Future Star to progress. The success of the Future Star won’t be wholly dependent on the mentor however, TPE’s vast and influential network of partners will be pivotal in driving forward the ‘Where Next Project’. Once Future Stars are chosen, TPE will look to engage partners who can give them further insight and experience, whilst also building connections within the region for our Future Star to kick start their dreams. Sue Whaley, HR Director, TransPennine Express: “Having won the rights to be the intercity operator of the North and Scotland, we are determined to provide an outstanding service the North can be proud of but also be a company that helps champion, showcase and nurture the region’s talent. “We know there is a deep rooted intrinsic pride amongst the regions TPE serves and we want to tap into this. We want to celebrate the diversity and differences, and ultimately grow the region and help develop the people within it – something which the Where Next Project delivers.